Every couple getting married should include these 12 Essential Kitchen Tools on their Wedding Registry. Setting up your first kitchen is an investment. This sage advice comes after decades of cooking, entertaining, and learning the hard way. Trust me, include these essentials on your wedding registry and you will be happy in the long run. 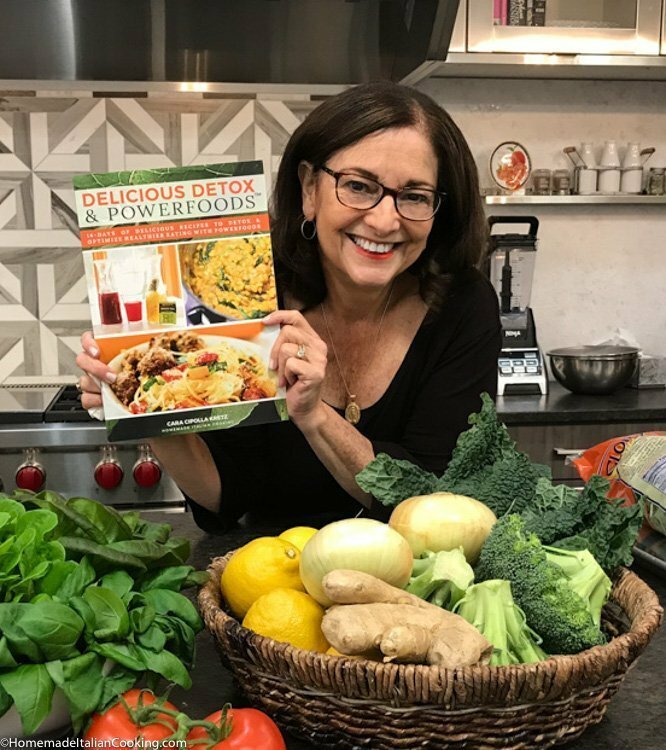 If you or your future spouse already love to cook, or want to learn in the future, having the right tools can make a big difference. It is a common mistake to look at all the beautiful, shiny new toys for the kitchen in the retail stores and trust the sales people with your selections. 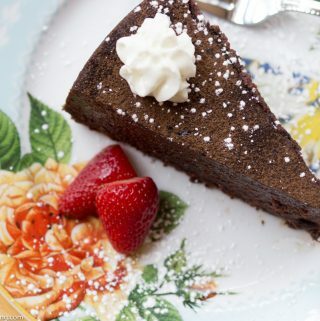 If you are lucky enough to have a Mom who is a fabulous cook, then by all means bring her and trust her advice! This is your one chance to set up a beautiful and functional kitchen of your own. Since many of these items are too expensive for a new couple just starting out, a wedding shower is a one-time opportunity to get some high quality essentials. 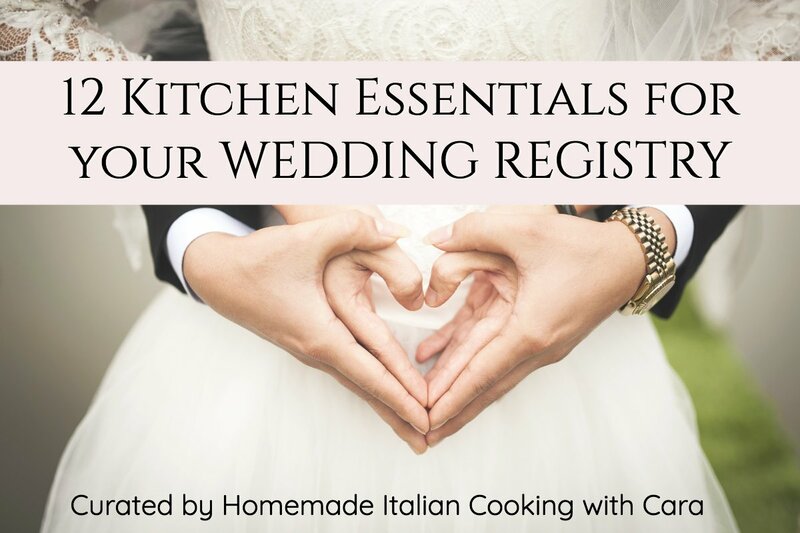 This Kitchen Wedding Registry List is my wedding gift to you. The factors that were most important to me over time were reliability, performance, function, and easy maintenance. If a fancy kitchen appliance is too heavy to lift, is only used once a year, too hard to clean, or does not last for years, don’t ask for it! All of these recommended items I have used in my own kitchen for years and know that they will serve you well. There are many more handy kitchen gadgets that are great to have but this list represents the quality basics you should have to start your own fabulous cook’s kitchen! Note: Prices are from Amazon (Prime or free shipping) and current at time of publishing. Why you need it: After owning a KitchenAid for many years, I switched to Bosch for several reasons. A KitchenAid is too heavy to move around, awkward to work with, and takes up too much valuable space on your counter. The Bosch has several advantages. First, I can easily lift the Bosch and move it from pantry to counter. Second, the top is open, and this is very convenient when adding ingredients while it is running. One more key aspect is the double whisk and paddle attachments which when combined with the powerful motor means that whipped egg whites, cake batters and bread doughs just turn out better! Bosch has strong suction cups that hold it firmly in place while running and it is a breeze to clean. Future add-ons: The attachment options are fabulous. First get the stainless steel bowl. As you grow your set, invest in the meat grinder, the citrus juicer and pasta roller set. Years of happy cooking and baking are yours. 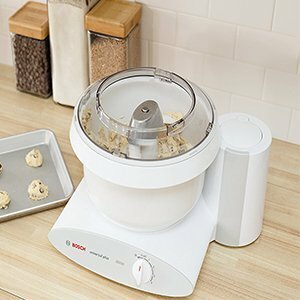 Why you need it: A high-performance food processor is the ultimate multi-tasker. 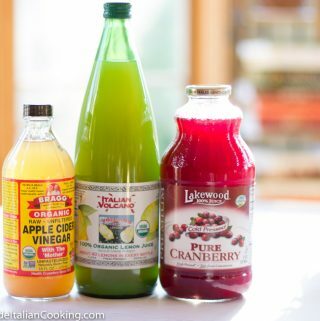 You can chop, slice, dice, grate, puree, blend and mix a wide variety of ingredients. This kitchen workhorse speeds up all the knife work and prep work needed for time-consuming recipes such as pesto, salsa, hummus, riced cauliflower, and chopped salads. With the dough hook you can even make quality pastry and bread dough in minutes. 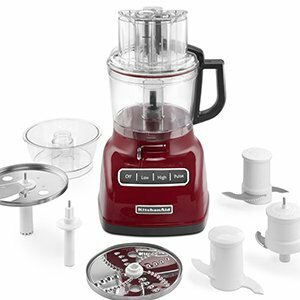 The power of the motor, the quality of the parts and easy maintenance are essential for a good food processor. Don’t get smaller than a 9-cup bowl. This will handle recipes for 4-8 people generally. If you will cook for larger crowds, the 12 and 16 cup bowls are ideal. Future add ons: You can expand your prep tasks by using specialty discs for the food processor. Consider the ice grater for those shaved rum drinks, a french fry cutter, or the parmesan cheese disc, perfect for grating large amounts of hard cheese. Why you need it: The knife that you will use the most in your kitchen is a good chef knife. The 6-inch is the most practical for a wide variety of cutting needs and the right size for most hands. An 8 or 10-inch knife is too big for simple tasks like cutting a cucumber or slicing some sausage. You will find this 6-inch your go-to knife for everything. 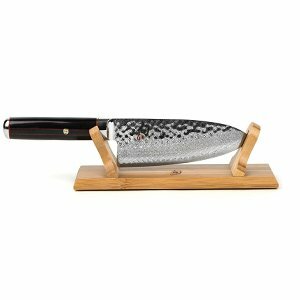 This hand-crafted Japanese Shun Chef’s Knife will last you a lifetime. I love the way it feels in my hand. It is balanced, secure, and lighter than European knifes. The blade is gently curved which is perfect for the “rocking” technique to finely mince herbs. The clad layered blade is exceptional. The handle makes for a solid grip and balanced feel. Future Add-ons: Add the 3.5-inch paring knife, a 9-inch serrated bread knife and the 7-inch Cleaver for an amazing array of knives. Shun recommends a whetstone or this Kai Electric Sharpener designed specifically for Japanese knifes at a 16 degree angle as the best way to keep your knives sharp. As your knife collection grows, you will need a good knife storage unit such as this Shun Bamboo Knife Block. Why do you need it: The Dutch Oven is one of the most used and versatile pots in your kitchen. It is a cast iron lidded pan with an enamel coating that makes it perfect for roasting, slow cooking, braising, and frying. 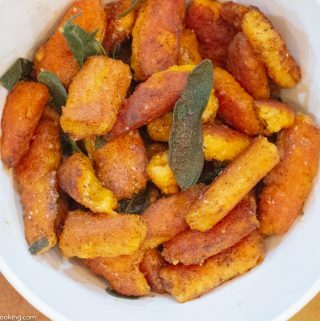 It works beautifully in the oven or on the stovetop. The multi-layered pan with the lid allows for even heating and retained moisture in your food like an oven, hence how it got its name. It also comes with a lifetime guarantee! If you go with one dutch oven I recommend you go with the 7 1/4-quart size instead of the 5 quart one. The slightly larger size also handles entertaining. 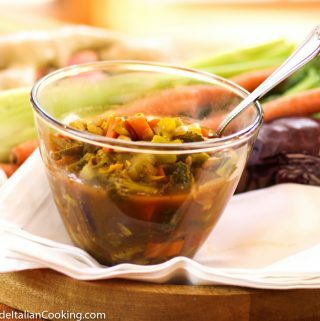 Recipes that work beautifully: Italian Beef, Italian Sunday Sauce, Pasta Fagioli, and Corn Beef & Cabbage. Future add-ons: I have a black 13-quart Dutch Oven which we got on sale at the outlet store. We call it the Black Cauldron. 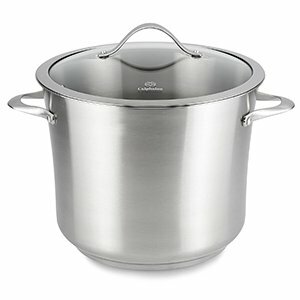 The mammoth pot in very useful when cooking for larger family dinners and parties. Consider the 3.5 or 5 quart dutch oven for smaller recipes. Why you need it: The Danish-made Scanpan is the best non-stick pan I have used. It sears and browns without sticking because of its patented ceramic titanium nonstick interior. It won’t scratch, and is safe for the dishwasher and for use with metal utensils. The 11″ is a good medium size. Definitely get the glass lid that is sold separately. It is not worth getting poor quality non-stick pans. They scratch and the coating will easily wear off. You will end up replacing them in no time. Get a good one and stick with it (no pun intended). 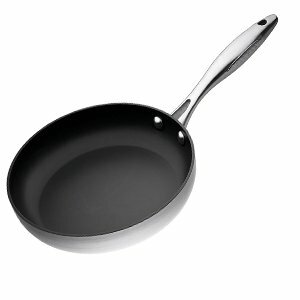 Future add-ons; It may be good to have a smaller 7-inch non-stick skillet for eggs and smaller meals. Why you need it: This is the best multi-tasker pan for making sauces, sautéing, browning, searing, deglazing and shallow frying. Deeper than traditional fry pans, this pan has a larger surface area and tall straight sides that hold in juices, prevent splattering, and allow for easy turning with a spatula. Ideal for a range of foods, the sauté pan allows you to brown or sear, then deglaze or finish in liquid–all in one pan. The lid locks in moisture and heat to finish meals on the stove or in the oven. This is a great pan for making pasta sauces, and is deep enough to add the cooked pasta for the perfect last minute tossing before serving. 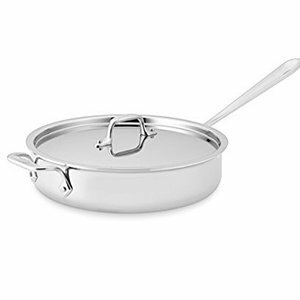 Future add-ons: The deeper with high sides 4-quart All-Clad Sauce Pan with Lid is another good pan to have for cooking vegetables and sauces. 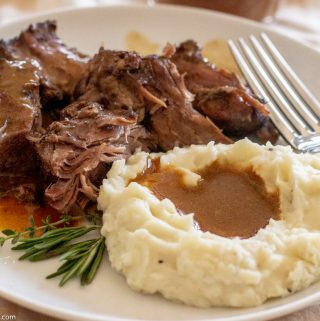 Why you need it: This is the best pan to roast a turkey at Thanksgiving, chicken or any larger cut of meat such as ribs, beef roasts and leg of lamb. The nonstick rack holds the meat above the grease and allows it to cook faster and all around. 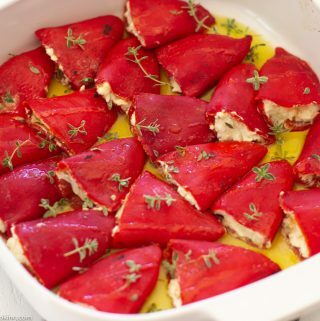 It is very deep, making it also good for large layered casseroles, and roasting larger vegetables such as pumpkin and eggplant. The high handles makes lifting it out of the oven much easier. One last bonus, because it is made from all-clad stainless steel, you can put it right on your stovetop over an open flame to make gravy in the pan. 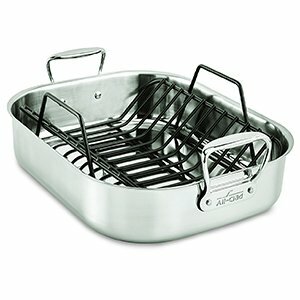 I love this pan and it is considered a must-have for any cook’s kitchen. Why you need it: A quality 13 x 9 x 3 inch baking pan is a must-have for any cook. This is the best one to get. 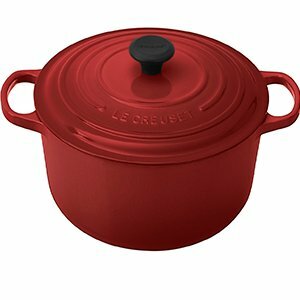 The Emile Henry ceramic cookware line is made from a special French Burgundy clay that is superior for even-heat diffusion and heat retention; it keeps food hot on the table longer. 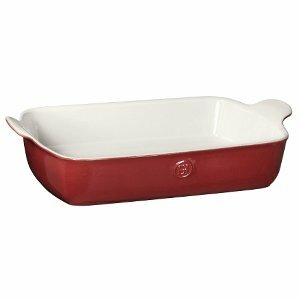 I also love that this one is 3-inches deep, which is better for most casseroles. This baker can handle a very hot oven (up to 520F), the broiler (for Shrimp Scampi) and also the microwave. 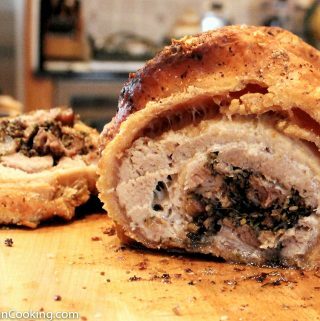 It can also go from freezer or refrigerator, to a hot oven, to table. Future add-ons: The 2-quart Emile Henry Modern Classic 8 x 8′ Square Baking Dish and the 9-inch Classic Pie Dish would both be great additions to your kitchen. Why you need it: Pasta is meant to be boiled in lots of water and allowed to freely move around. 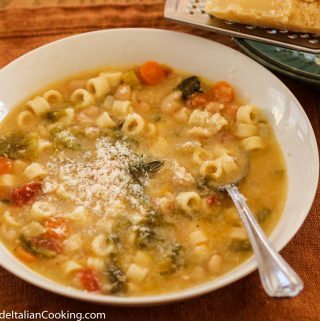 A big mistake many cooks make is to cook pasta in too small a stock pot or pan. You need a 12-quart stock pot with a glass lid. This stock pot will last you forever, and handle all your boiling needs. 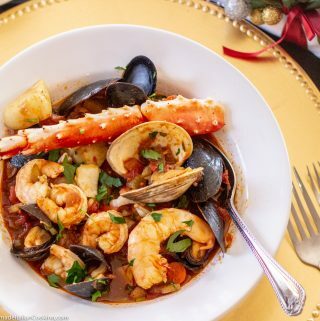 It is large enough to hold chicken or turkey carcasses to make an amazing stock, make a nourishing bone broth, boil 2 pounds of pasta for a party, a clam bake, or to hold two lobsters if you are going to try a lobster-for-two romantic dinner. The glass lid is essential to monitor contents. Future add-ons: Get a stainless steel spider strainer for scooping out pasta. Why you need it: This is a busy couple’s best friend. A true “set it and forget it” kitchen appliance. 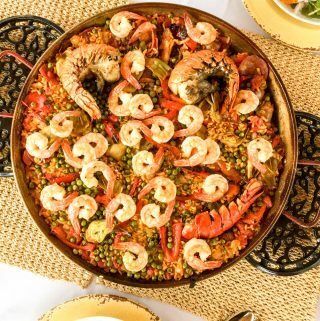 It’s almost magical how you can place raw meats, vegetables and some liquid in a pot and hours later find an aromatic, delicious complete meal ready to serve. This particular crockpot is great because it has the lock and carry option. The digital timer is very useful, as well as both low and high heat settings. I like the 6-quart size since it will handle a whole chicken and small roasts. 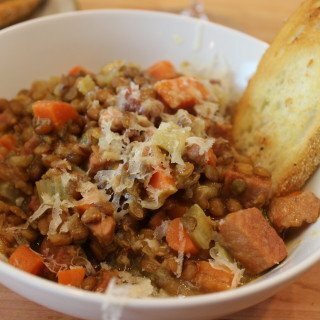 You will find tons of recipes for slow cooking online but one of my favorites is a hearty and delicious Crockpot Italian Sausage & Lentils. Future add on: Instapots have become very popular recently. 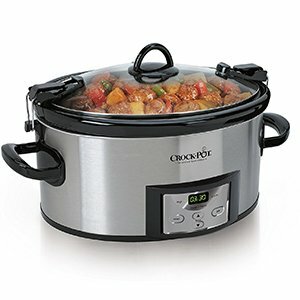 They are programmable pressure cookers that include slow cooking options but in a faster time. I have not used one so can not recommend which one is best or comment on how the food results compare. A 6-quart Instant Pot Ultra costs $147 and may be worth checking out. 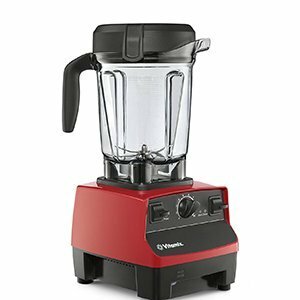 Why you need it: This is the best heavy duty blender on the market and will serve any needs you have. This is the must have for smoothies, cream soups, grind coffee beans and make Margaritas! Get the shorter version called the Low Profile. It handles the same volume but is shorter and squattier than the traditional model. This means it will fit under a kitchen cabinet and makes it easier to store or leave on your counter if you use it often. One of our favorite recipes – a Brazilian bite-size cheese bread called Pao De Qeijo – is made in a blender. Tapioca flour, milk and grated cheese are blended and then poured into a hot mini-muffin pan. Fast and easy! Kids and adults love them. Why you need it: If you are a coffee gourmet and appreciate/demand an outstanding cup of coffee at home, this is the best machine to get. The temperature of the water and the brewing time are two factors to extract the best flavor from the beans. 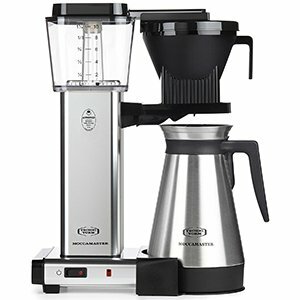 The Dutch-made Moccamaster is engineered as the best design to achieve peak brewing for home use. Just add spring water and fresh ground Italian Dark Roast Beans and you will never go back. Be sure to get the version with the thermal carafe. The coffee will stay hot longer and not get bitter. See my review of the best coffee makers where I tested the brew time and digital temperature of different machines to prove a point. The Moccamaster was the clear winner on taste. The con on this machine is that it takes up more space on your counter than other machines. The Mocchamaster is worth it if your goal is truly outstanding drip coffee at home. Why you need it: You really don’t need this appliance…. unless you love a quality espresso and want to drink it every day like me! The first thing I do when any guest comes into my kitchen is to offer them an espresso or cappuccino. It is my way of saying “I like you”. I usually have an Americano (one shot espresso with more hot water) everyday at 11AM. 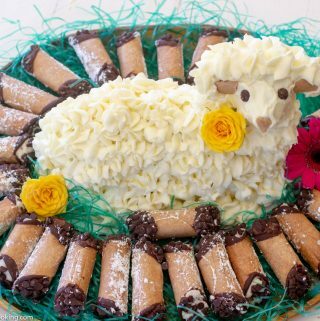 We serve espresso and coffee at all family parties. Add Hershey’s chocolate syrup for a fantastic mocha, or pour hot espresso over vanilla gelato for a wonderful Italian treat called Affogato. 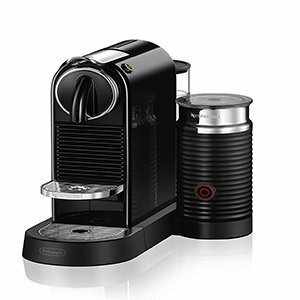 This small countertop espresso maker by Nespresso makes a perfect espresso with a thick head of crema on top. The attached automated frother makes perfect warmed froth and milk that is ready for you when the espresso is brewed. Incorporating the ritual of espresso into your life is a special way to treat yourself to small moments of joy. Put it on your Wedding Registry. Note: I am not receiving any compensation from these brands for recommending their products. 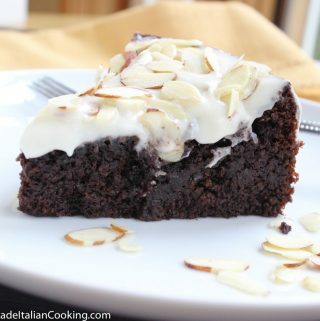 HomemadeItalianCooking.com participates in the Amazon Affiliate Marketing Programs at no extra cost to you. You may also shop around for sales at the major retail stores like Crate & Barrel, Sur La Table or Williams Sonoma.